We released an upgraded Legends and Lists AddOn for AutoCAD Civil 3D 2017-2015 last week. The recently released version includes new AutoCAD tablestyles, the basic Legend templates, and the bevy of Civil 3D Style tools you need. If you are a Release 7 Framework for Civil 3D customer, the AddOn is free and now available to download from the product download pages. AutoCAD Civil 3D doesn’t seem to have a built-in symbol legend or abbreviation list generator tool. That was a tool that all old CAD drafting software just had to have. Look all you want through all the many Ribbon menus of Civil 3D and this simple tool is nowhere to be found. My bet is you make your current Civil 3D Legends, Lists, and the like by old basic AutoCAD methods. We talked about some of those methods including the powerful Link Data Table to Excel tools last time in the Not So Simple Tables in Civil 3D post. We’ll talk about Extracted Link Data Tables to track coded symbols, extract them, and publish them in lists another time. All of that capability works if you don’t need symbols in your Legend or List. All of these methods work, but they may also contain more overhead and maintenance than you want. It is very unlikely the Autodesk Civil 3D development team is going to produce a Legend tool. From their perspective, AutoCAD and Civil 3D functionality solved the problem long ago. What? It’s true. We even have different choices and methods to solve these issues. 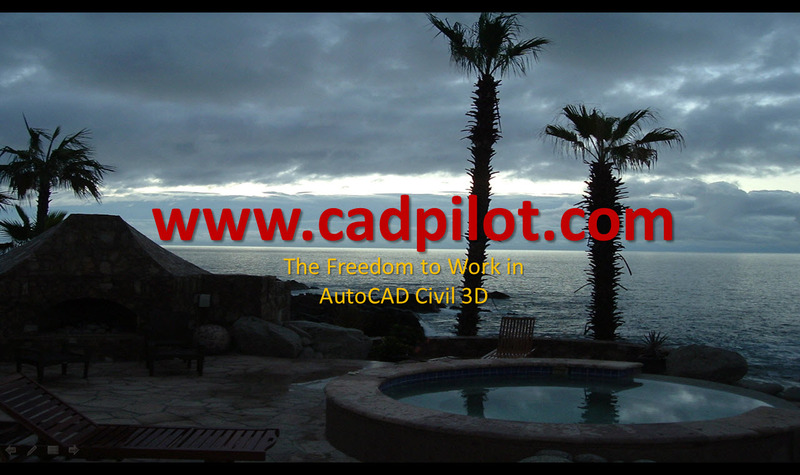 The functionality to meet the challenge is indeed built into the AutoCAD and AutoCAD Civil 3D data models and powerful Style tools. This is the Autodesk way. You pick your poison. Learn how to do it. Build your own solution. Your time to do that and maintain it from release to release is not Autodesk’s problem. What we seek in our Framework for Civil 3D solutions is to save wasted man-hours by delivering reusable managed tools that you get both use and modify easily to meet your needs. Our Legends and List tools have worked for many years and releases. We’ve made them better. Ok. Never mind. You get the drift. Civil 3D is always about styling the data. Get the data behind right. Civil 3D Style tools will produce for you what you need. In simple terms you can build or modify your own Civil 3D Style tools to do all of that. On the surface, Civil 3D Features generate symbols in what looks like a lot of ways. Everywhere Civil 3D actually wraps the symbol (and AutoCAD block or Marker) in a Feature component. The penultimate (I always wanted to use that word in a blog post) form of this is the Point Feature. I’ll freely admit that initially Civil 3D’s much more flexible approach to point representation and annotation can be befuddling. Register and get tons of help, documentation, and more video content about Points and Survey in AutoCAD Civil 3D. In Civil 3D we manage our graphic symbolism by this strange brew of Point Styles, Description Key Sets, Point Groups, and (I trust) Survey Dbs. Please, don’t miss the concept of multiple Survey Dbs. Read about that in The Civil 3D Survey One and Many post. The list at the bottom has a summary. The result all hinges on the point data itself. Our legend and list tools are buried in there unless you want to spend a lot of time programming up a tool yourself. Frankly, most of us have more important and more mission-critical engineering and survey work to do. Let’s take stock and look at what we’ve got and what we have to deal with. Easy to understand NE (northing and easting) point data allows us to generate points in a carefully arranged stack of locations. In a pinch we could even arrange these ourselves. Yuck. We need a special point data file. A spreadsheet tool can create that. A Survey Db can store it. We need a collection of Point Styles that display our wrappered graphics - Got that. The Point Styles reflect exactly what we publish on the sheet(s) anyway. We need a tweaked Description Key Set to handle the slightly different scaling and layout issues in our published list. We also want to generate the appropriate and specialized descriptive text that we want in our Legend, Abbreviation, or other specialized symbol List. Whew! We can make that. Copy paste is something anyone can do. Finally, it might be nice to have a nice border and columnar format arrangement for the output. A Civil 3D Point Table Style will do that trick nicely. We do have to deal with some automatic layout things that are built into a Civil 3D Table Style feature. However, we can adjust our point data to the particular details of the Type Style feature and the font we employ. Once we lick it and kick it we can employ these engineered Civil 3D Style Tools and the repeatable process to generate any kind of structured list in Civil 3D. We’ll have a tool that will allow us easily visualize the graphic output of any Description Key Set and Civil 3D point style library. We can also do that for just about anything we like that isn’t covered by the typical Civil 3D Table Styles, Link Data Tables, or Extracted Link Data Tables. This repeatable technique allows us to be tricky and produce lists with any forms of graphics and connected text in them. Maybe you want specialized construction notes, revision marks, or detail notes in a table? Maybe you want symbolized lists of survey control. You get the idea. Our Framework for Civil 3D Legends and Lists AddOn includes all the resources you need to get started. Register and visit the Members>>Spreadsheet Tools>>Legends and Lists page for all the detailed on-line documentation and help. Is the Framework the Legend of AutoCAD Civil 3D?